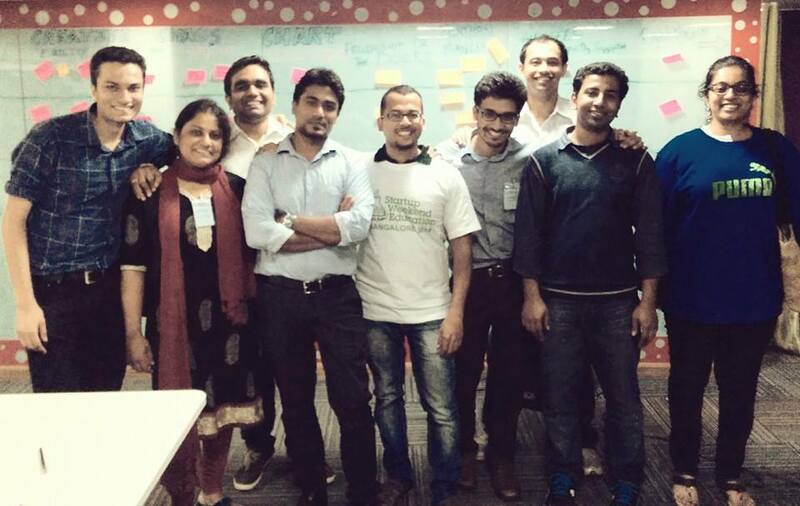 In August, Adithya Narayanan (TFI 2012) and Arhan Bezbora (TFI 2010) made a trip down to Bangalore to participate in Startup Weekend Education, along with 7 other Alumni based in the city. Startup Weekend is a global network of passionate leaders and entrepreneurs on a mission to inspire, educate, and empower individuals, teams and communities. In this reflection piece, Adithya describes his main learnings from the 3 days that came about from watching one of his team-mates, Gururaja at work. To learn more about the event and see the participants (including Alumni) in action, watch this video. I watched as Gururaja stood quietly at the back of the long line that had assembled on one side of the conference room at the Thoughtworks office in Bangalore, holding the prototype he had built in his hand. Twenty-five other people stood in the line with him, waiting to present to a crowd of 70 that included educators, technicians, designers and social entrepreneurs from different parts of the country. The model that could fit perfectly in his palm accurately measured humidity, acceleration, and temperature among other elements – requiring only a connection to a smartphone to function. Gururaja had built the prototype while pursuing his PhD in Bangalore and knew that this model could be very useful to engineering students across the country since most of them pursued different engineering projects during their last year in college and a gadget that gives immediate and accurate data at a cheap rate would be a great asset to them. Gururaja had spent months working on this model, but today like everyone else standing in the line, he had exactly one minute to pitch this product to the audience to gain their votes. If the pitch went well, members of the audience would join his team and over the next 54 hours help him turn this model into a viable product that he could potentially sell in the market. When it was finally Gururaja’s turn, he fumbled and stuttered through his presentation and thoroughly failed to explain the workings of his prototype. By the time the one-minute alarm rung, Gururaja had only finished half of his pitch, and predictably when the results were announced, Gururaja’s model didn’t make it through to the top ten. As I watched him slowly put his model back in his backpack, I felt sympathetic but, limited by my own knowledge of business and engineering, I realized I couldn’t do much to help him. 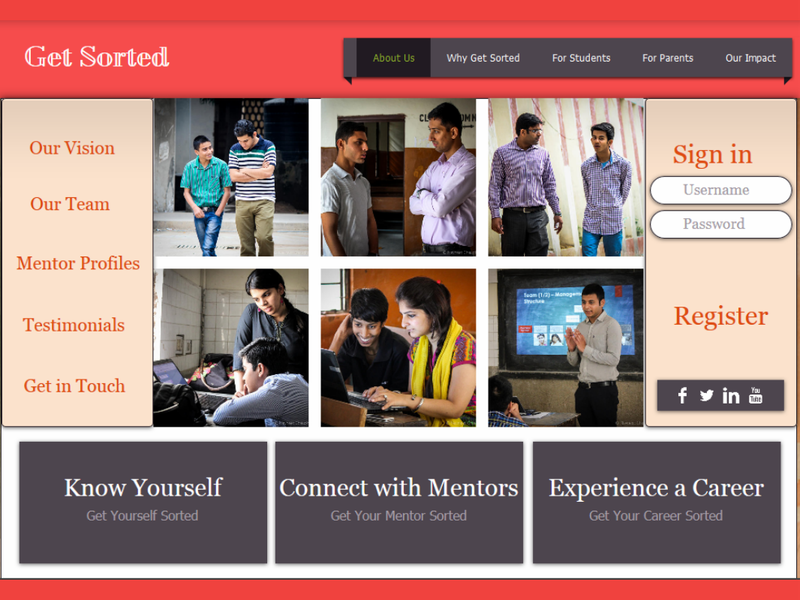 Over the next 54 hours, I would work closely with a team of 5 (including three Alumni) to build a website that aimed to help students in India studying in the 10th and 12th grade gain more clarity regarding career opportunities post their board exams. The website would house a career aptitude test, a mentorship program and an internship program – a holistic process that we hoped would help children in India gain more clarity about the careers that lay ahead. Over the next 2 days, I learned a lot while working on the idea – I learned about revenue streams and measuring key metrics, I learned about the lean business model and about how to use it, I explored design thinking at a deeper level, helped my team create a strong problem statement and then helped my team go out and validate that statement. We brainstormed solutions together, talked to seasoned social entrepreneurs, worked with them to define our target audience, and the weekend finally culminated in our team being selected as one of the runners-up at this first edition of the event in Bangalore. But none of those learnings, I realize now in retrospect, would come close to my learnings from watching Gururaja work over the weekend. After the audience in the room rejected his prototype, Gururaja didn’t leave the room to go back home. He stayed back to help other teams build on their ideas, and as luck would have it, he ended up joining our team. Before Gururaja joined, we had 3 educators, one social entrepreneur and one visual communicator, and we were looking for a software techie who could code – for the simple reason that our entire product was to be housed on a website. So when our team-leader Saahil went scouting for a techie and finally told us that he had found one we were thrilled, but the joy was short lived for Saahil had misunderstood Gururaja to be a software techie, while Gururaja was actually ahardware techie – so he had as much idea about how to build a website as all of us. Surprising me twice in the span of five minutes, Gururaja offered to spend the next day working on the website. Over the next 15 hours while the rest of us defined and redefined out problem statement and went about creating a solution process, Gururaja sat with his laptop in a corner of the conference room, with multiple tabs open that had information on building websites. He browsed through wordpress and godaddy and finally ended up on wix, where he decided to build a website that would suit our product the best. For the first few hours, he got nowhere, but a few hours later; this is what he came up with. It was a full-fledged working front page for our website. As I think back to the weekend, the image of Gururaja standing in the line with his prototype flashes in my mind. I think of the time when the results were announced and his idea didn’t get voted upon and I think of the time when I saw him put the prototype in his bag, expecting him to leave. I think of the time when he offered to help us do something no one else was willing to touch, and I think of the time when he finally showed us what he had built and that is when I realize that beyond business models and processes and structures and designs, what I learnt that weekend was that to really get your startup off the ground you need a great team, with great team-players. To watch Gururaja work over the weekend was my greatest learning. Here’s to bigger hearts, leaner business models and more Startup Weekends. Adithya was a 2012 Teach For India Fellow in Mumbai. He currently works as a Strategy and Alumni Manager with the Teach For India Mumbai team, building greater clarity around our long-term theory of change in the city and laying the foundation for Fellows and Alumni to engage with the vision and the Alumni movement. You can reach out to him at adithya.narayanan@teachforindia.org.